Skin is the largest organ in our body providing protection, sensation and beauty. It is directly exposed to the external world, making it susceptible to infections and disorders. Healthy skin comes from a healthy body. Ayurveda teaches that even though external factors are the important causes for skin disorders skin will resist diseases, so far it is healthy. So, healthy life style is important to prevent diseases of skin. Daily massage, daily shower, proper clothing according to seasons, sun protective measures, etc are important. Diet is also important as of any other organ. Air, water and sunlight play important roles in maintaining health of the skin. Vitamin A, C, D and E are important. Proper lubrication –internally and externally- and regular bowel movements (to regularly eliminate unwanted materials from body) play a vital role eliminating toxins timely and maintaining healthy skin. Ayurvedic massage treatments can help to address the damage to the skin that can happen from exposure to stress, unhealthy life style and extreme weathers and to maintain healthy skin. Toxic accumulation: Toxic accumulation (ama) due to improper digestion, ineffective elimination, unhealthy food and / or unhealthy lifestyle is one of the primary causes of chronic skin diseases. Whenever toxic residues are flowing through blood, a possible site to accumulate is skin leading into irritation, infection and/ or chronic diseases. Stress: Emotional and mental well being are important aspects of total health. Whenever we are stressed, our overall body function will be compromised affecting health. Stress has a particularly bad effect on skin, especially to result in relapse or aggravation. Ayurveda says grievance and regrets have particular bad effects on skin. 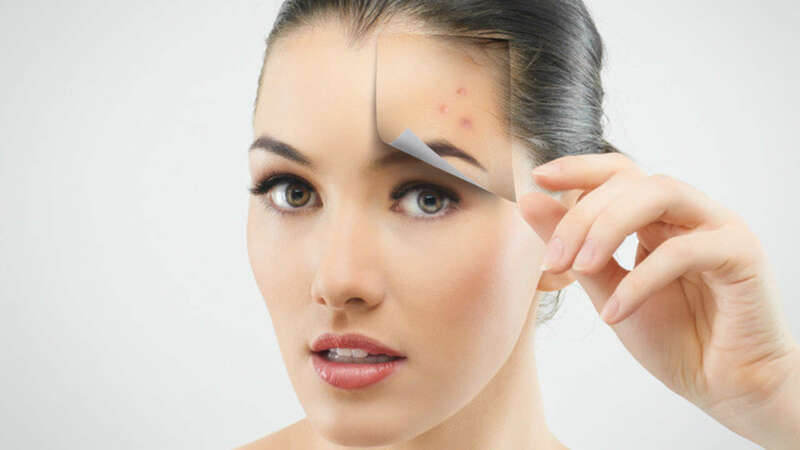 Mostly as the skin diseases can affect the appearance of the person, they themselves are the reasons for stress. Unhealthy diet: Beautiful skin comes from a healthy body which in turn is a result of healthy diet. Apart from the food choices, the time you eat and the combinations of food are also vital. (For e.g. Food you eat when you are not hungry-even if they are healthy- cannot be nourishing for your system). Incompatible combinations of food can cause metabolic residues increasing the accumulation of toxic residues in body. Dry or oily skin: Dry skin is more prone to chronic diseases than oily skin. Internal and external lubrication is vital to prevent diseases for dry skin. Even for someone who has dry skin from birth, drinking adequate amount water, adding healthy fat to diet, regular oil massage or applying lubricants, etc can help. Regarding oily skin regular scrub and monitoring fat intake are important. Constipation: As constipation prevents regular emptying of unwanted materials from the system, it forms one of the root causes of skin diseases. Drinking adequate amounts of water, adding lots of fresh fruits and vegetable in diet, etc. can help in constipation. Your Ayurvedic treatment will be beginning with an individual consultation taking around 60 minutes. Assessment of your doshas, imbalance and lifestyle is important to provide you vital advices on diet, lifestyle and Ayurvedic treatments which can help to heal your disease. 1. Life style modification: Usually skin diseases have multiple factors that play together to develop the disease. So if we are able to disconnect the chain of pathology, we will be successful in managing the disease. 2. Diet: Healthy diet is important for healthy skin. It is important to choose your diet according to your skin type, bowel habits, weather, etc. 3. Detox treatments: Detox treatments help to get rid of most of the toxins, metabolic wastes, etc. which are responsible for most of the chronic diseases. 4. Ayurvedic massage treatments: Ayurvedic massage treatments are selected according to the root causes and your symptoms. Different treatments can help to address dry skin, oily skin, discharges, itchiness, discolouration, etc. Additionally, all of the Ayurvedic massage treatments provide a sense of calmness and relaxation and help to address stress. 5. Herbs: There are specific herbs which can help to manage skin diseases and heal skin. 6. Stress management: Stress management forms an important aspect to prevent aggravation or relapse. Meditation, mindfulness, sound sleep, exercise, healthy diet, Ayurvedic massage treatments and herbs can help with stress management. Dr Rafeena provides consultations and treatments for skin problems and diseases..